Lady Claire is finally getting the recognition she deserves working as an assistant to frustrated engineer Andrew Malvern. But his partner Lord James Selwyn wants her as his bride and has formed an alliance with her mother to get her down the aisle. If he succeeds her dreams of university will evaporate. 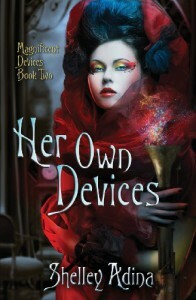 Her Own Devices is the second book in the Magnificent Devices series. 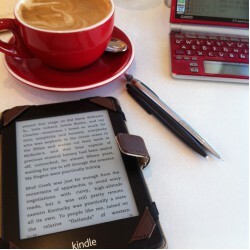 I have much love for these books but they are very short and I think the first two books should be combined into one. Together they would be one very good 5 Star Steam Punk adventure. Separate, I can’t go that far but they’re still very good.